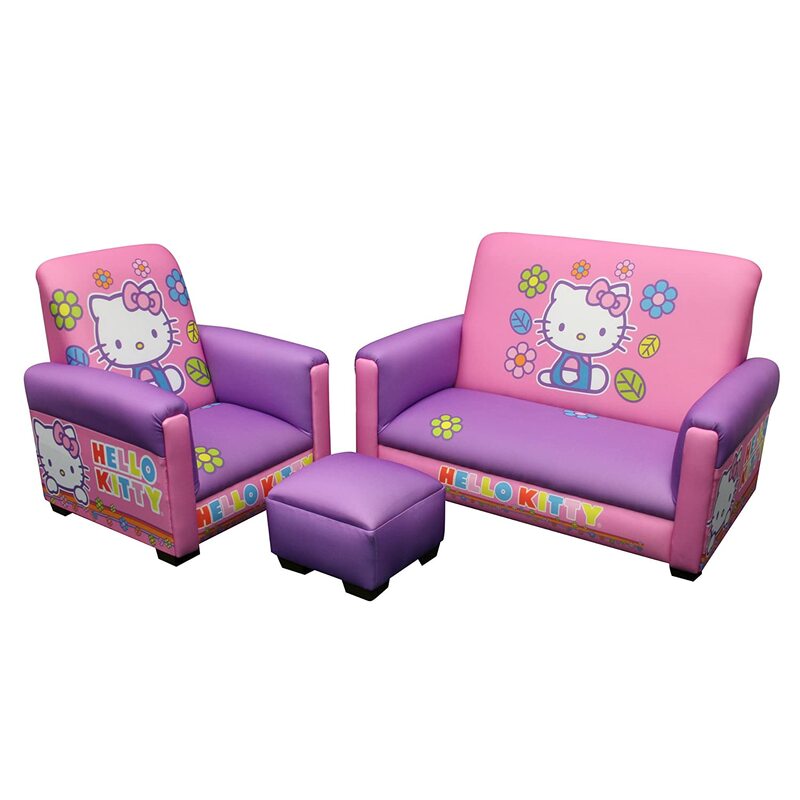 Hello Kitty Set includes a sofa, chair and ottoman to create your child’s very own room seating. Fun spot for visiting with friends or watching a favorite movie. This set has extra touches for that designer look such as front arm panels with buttons and 1.5″ legs the construction is hard wood frame covered with poly urethane foam and upholstered in soft to the touch, yet durable polyester fabric. The fabric is easy to clean with mild soap and water. The sofa measures 26.5″W x 15.25″L x 17.5″H, the chair 15.5″W x 15.25″L x 17.5″H and the ottoman is 8.5″ square. The seat height from the floor is approximately 5″. There are coordinating furniture items such as a toy box, recliner, and sofas available to match this cute set. You can create a whole room setting in Hello Kitty. Other items sold separately. This item is proudly made in the USA.